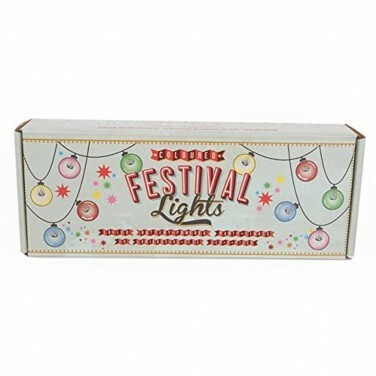 With soft pastel shades and white LEDs, these festival party lights add a little magic to your child's room. 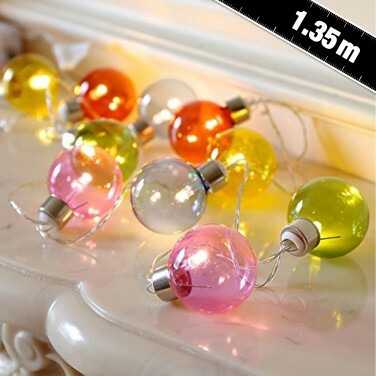 Illuminate your child's room with soft LED lighting from pastel shades of pink, blue, green and yellow with these pretty multi coloured Festival lights. 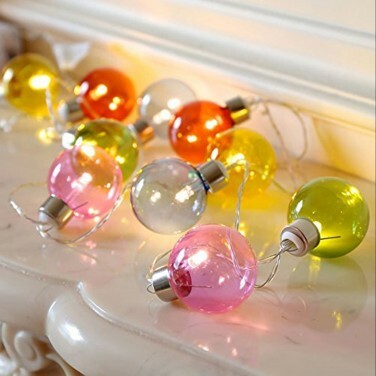 Battery operated, these retro styled fairy lights can be placed anywhere to make a delicate lighting feature and look fantastic looped around bed frames, along shelves and more to give a magical feel to your child's room. With large bulbs and a warm white glow, clear festival lights add a carnival theme to kids rooms.